Put down that mobile phone! According N.C.G.S. § 20-137.4., it is unlawful for any person to drive a motor vehicle while using his or her mobile telephone to text or email, with just a few exceptions as follows: if the driver is parked or stopped, if the means of communication are required for law enforcement to fulfill their duty/duties, for the use of factory-installed or GPS systems, or with the use of voice technology. Everyone knows that texting while driving is illegal, much thanks to the many preventative texting while driving campaigns have launched nationally such as “It Can Wait, “ and the “Safe Texting Campaign.” But what about all of the other distractions that put drivers at risk, like taking selfies, Instagramming, and Facebook? Although just as distracting and fatal, these types of behaviors are rarely reprimanded by law enforcement officers because there are no clear cut statutes that define these violations. Regulating mobile phone use by drivers, although, is really a tough job for legislatures. Think about it, every time a new law is presented, by the time it becomes effective software developers have a new program or app that is more popular anyway, often making the old law meaningless. Consider the Virginia plan above, for instance. Where’s the rule on taking selfies while driving? 14 states have outlawed the use of handheld devices while operating a motor vehicle all together, leaving a lot of gray area for the 36 other about what you can do with your phone while driving. An interesting idea maybe North Carolina should consider – what about expanding the Careless and Reckless statute to include making any and all distracting behavior citable? 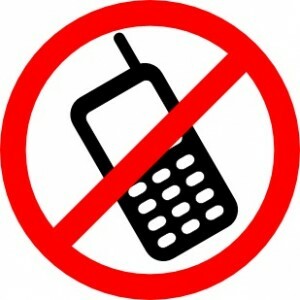 Posted in Legal Advice | Comments Off on Put down that mobile phone!